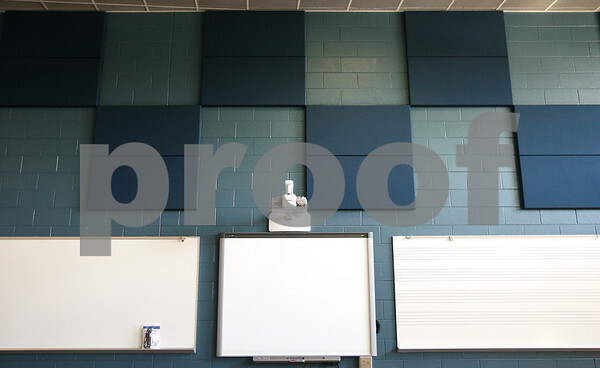 There is acoustic paneling (top) in many different areas of the high school including the choir room (pictured). Every classroom also features a SMARTboard (bottom center) at the new DeKalb High School. Taken on Friday, July 29, 2011.